You belong here. Building a movement. Starting a social venture. Using data for good. You are a changemaker. You belong here. In an old growth forest. In the streets of Calgary. Or with partners on the other side of the world. You are making change. And because truly transformational change takes communities of actors, not singular, heroic figures, you belong here. We are a dynamic community of students, social entrepreneurs, activists, artists and leaders from across disciplines and sectors who are making a difference for people and the planet. Our diverse, creative team of facilitators, designers, researchers, and students work with organizations and multi-stakeholder collaboratives to understand and address complex social issues. We facilitate collective impact initiatives, social innovation labs, and capacity building workshops for groups seeking to deepen their knowledge of social innovation and systems change. This vibrant, 4800 sq ft coworking space located on the top floor of the Bissett Building (EB 3013) on the southeast edge of Mount Royal University has everything you need to work, create and connect. What makes us different - besides our spectacular mountain views - is access to everything a campus community has to offer. Whether it’s caffeination, recreation, contemplation, collaboration, or celebration, we’ve got it covered. Elder Roy Bear Chief has described our role at the Trico Studio as that of web builders (tsoo wa wa kaas, in Blackfoot), weaving a web (ani to pi si) to support changemaking. Each of the threads of this web represent diverse partners who are contributing to creating meaningful change in partnership with communities - locally, regionally, nationally, and around the world. We are actively engaged in social innovation and changemaking networks locally, regionally, nationally and globally. 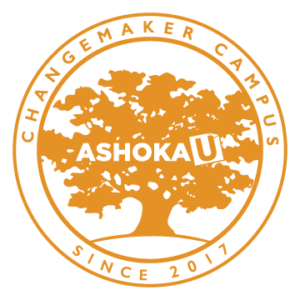 For example, as an Ashoka U Changemaker Campus we actively engage with changemakers at post-secondary institutions world-wide. Our members are start-ups with a triple bottom line, innovative nonprofits, public institutions reimagining service delivery, multi-stakeholder/multi-sector initiatives, artists exploring how art transforms social systems, and students from every faculty. Our potential for social impact can only be realized through strong relationships with our on- and off-campus partners. Our multidisciplinary team supports coworking, facilitation, and campus-community connections. We draw on Mount Royal University’s incredible faculty, students and community partners to customize our approach and amplify our efforts.